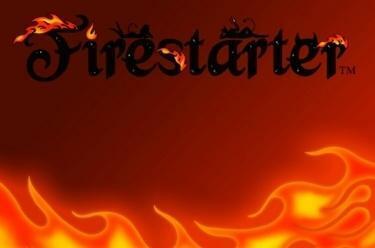 Play Firestarter™ online for free now! Caution, hot! 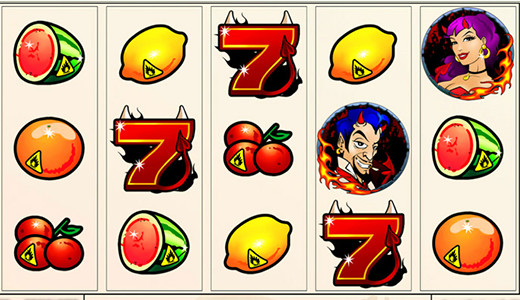 A diabolic pair of devils in our slot Firestarter™ brings you winnings to be proud off! Do not be afraid of the fiery fruits, the red hot 7's, or the matches that could light the spark that might make everything explode. Everything hot in this slot works in your favour and rewards you handsomely for your spins with our Firestarter™! 5 reels with up to 25 win lines at Firestarter™ will stoke the fires. Make sure to land 5 matching symbols along an active win line. Follow the patterns starting on the left side of the first reel and run along the win lines to the right. The important thing is that the matching symbols lie side by side without any other symbols interfering. Firestarter™ is a Reel Refill™ slot. The symbols fall down from the top of the screen till reels are filled up. All symbols in a winning combination disappear and the symbols above fall into the free positions. Then the game checks whether you have landed new winning combinations. These winnings will be added to your overall winnings! If 3 or more Scatter symbols land in any position 10 hot Free Games will be triggered. The male and female devil pay out in the Free Game regardless of the position they land on as soon as the minimum number for winnings has been reached. 3 Scatter in the current Free Game win 5 more Free Games, 4 Scatter win 10 Free Games and 5 Scatter win 15 Free Games.